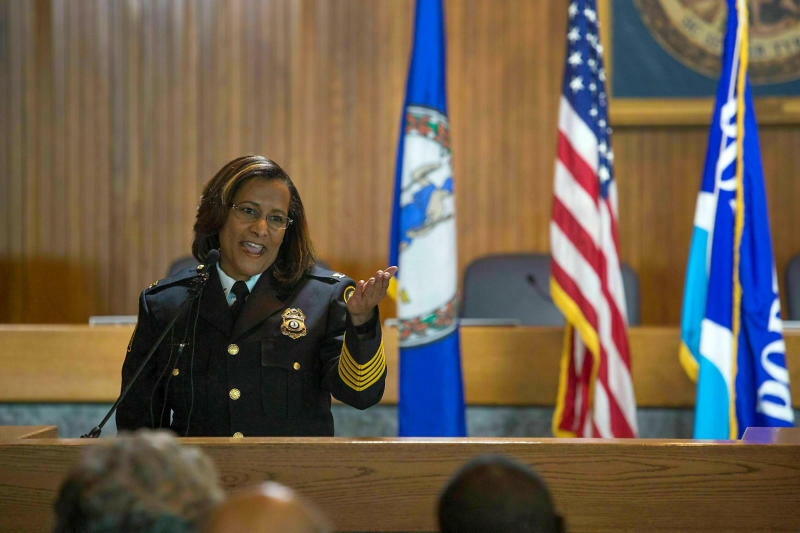 PORTSMOUTH, Va. (AP) — The first black woman to lead a city police department in Virginia said Monday that she was forced out, calling herself "no quitter" and accusing a small group of officers of "bias and acts of systemic racism, discriminatory practices and abuse of authority." Tonya Chapman released a four-page statement a week after her abrupt resignation. It says her attempts to change the culture consistently were met with resistance from some people within the Portsmouth Police Department, some of whom "quite frankly did not like taking direction from an African American female." Despite working closely with the city manager during her three-year tenure, Chapman says the city manager made her resign "under duress" and without warning. "There will be no comment as this is a personnel matter," said Dana Woodson, a spokesperson for the city. City Councilor Elizabeth Psimas said in an email that council members can't comment on city employee personnel matters. Chapman said she could not provide additional information about her forced resignation but suggested it was driven by "members of a highly influential fraternal organization" who had tried unsuccessfully for more than two years to generate a vote of "no confidence" in her. She said some of those people were recently disciplined for policy violations. She said she is reluctant to speak publicly about what she witnessed "out of concern for public safety," but said she is willing to share specific information with the "appropriate government entity." Chapman's statement also included a list of crime reduction statistics and community engagement initiatives during her tenure.